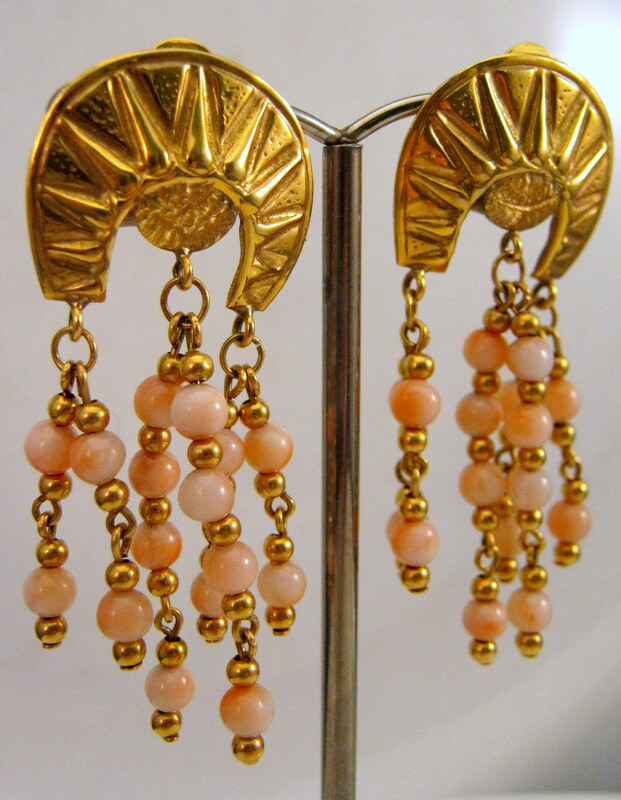 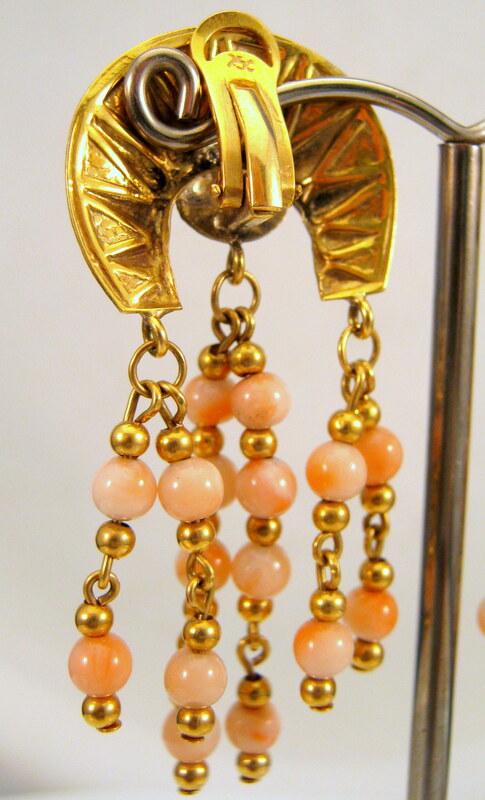 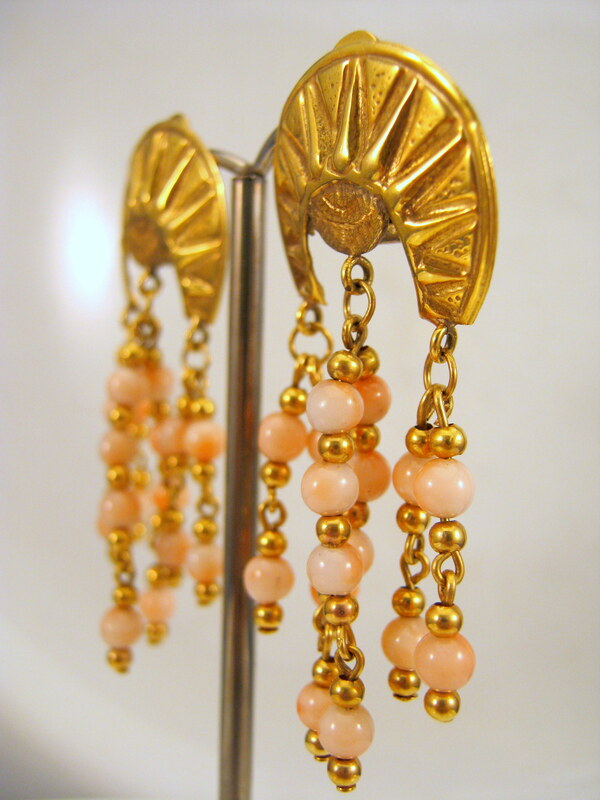 These beautiful bohemian 18ct gold drop earrings have pink coral & gold beads that move with you. 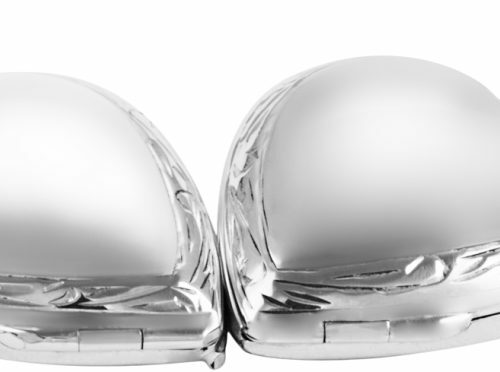 Giving a young fresh feel drawing light to the face. 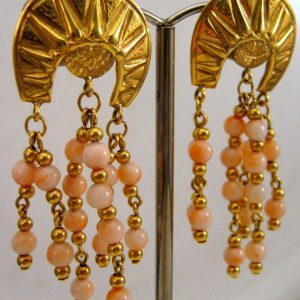 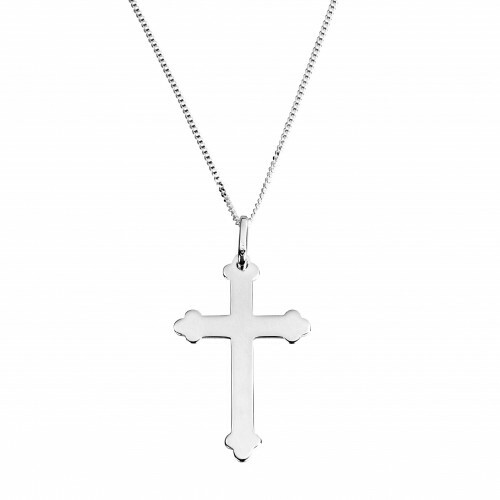 Categories: Jewellery for Women, Vintage, Earrings.